A recent Saturday night saw an exuberant crowd in their late 20s packed into one of Sig. 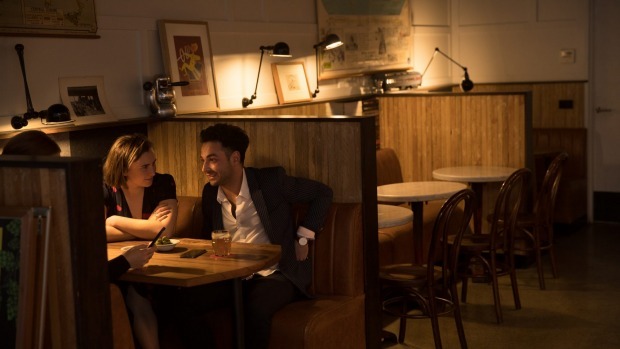 Enzo's three timber and soft brown leather booths for drinks and snacks before a nearby house party. At a table in the window, an older couple are chatting with the owner about what they're going to drink from the all-Italian wine list. A guy at the bar is scrolling through his phone while forking up excellent cacio e pepe. An all-ages group is scarfing pizza and giving the negroni list a nudge while the kids are outside, checking out flavours in the gelato cart. If a neighbourhood bar scorecard existed, Sig. Enzo would tick many boxes. It's off the main drag of Sydney Road. The compact space is kitted out with upholstered bar stools fronting a marble-topped bar, well-proportioned booths, open shelves stacked with bottles of wine and a decor scheme featuring old wall maps and framed retro advertisements. The lighting is kind. There's streetside seating and a soundtrack fond of soul and jazz. The real kicker, though, is that Enzo's immediately familiar and welcoming, run by a daughter-father team who understand the neighbourhood bar genre and do it well at a relaxed, efficient pace. Food and booze menus match the bar's tight dimensions. 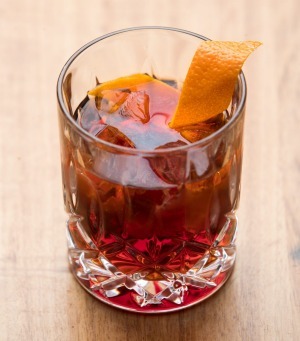 The drinks list starts with a list of spritz and cocktails with five versions of negroni, including barrel-aged and an excellent dark, bitter style with rosso vermouth swapped out for Averna. There are also lists of grappa, amari, vermouth and whisky. The cocktails are well made, without flash and dazzle but with good ice and glassware. The ubiquitous espresso martini gets a guernsey, as does the unjustly neglected cousin of the Manhattan, the Brooklyn. Maraschino fans will be pleased. The one-page wine list is all Italian and tops out at $68 for a sangiovese-merlot blend from Montepulciano maker La Braccesca. It's all easy-drinking stuff and the entire list is available by the glass on the first-come, first-served system pioneered locally in bars like Gerald's, so what's available changes throughout the night. Reasonable bottle prices make that path tempting. There's good snacking, too. Carnivores must not miss the meatballs, made with pork and beef mince and served in a tomato sauce with or without spaghetti. There are correctly stored and served cured meats and cheeses plus snacks like 'nduja and ricotta crostini and ridiculously good "Italian fries" topped with grated pecorino and Sicilian oregano. There are a couple of decent pizze, including a zucchini, asiago and basil pesto number, and a textbook cacio e pepe pasta that should have everybody in the neighbourhood sleeping more soundly knowing that it's there. On Sundays, Sig. Enzo lives up to its Aperitivo Bar moniker by offering an afternoon deal where $20 gets you a drink and access to a range of constantly replenished snacks. It's a good time to check the place out but, with this attitude and offer and with five versions of negroni to sample, any time would do. Well-priced and solidly made with decent chill using Tanqueray gin and Martini Extra Dry vermouth ($17). 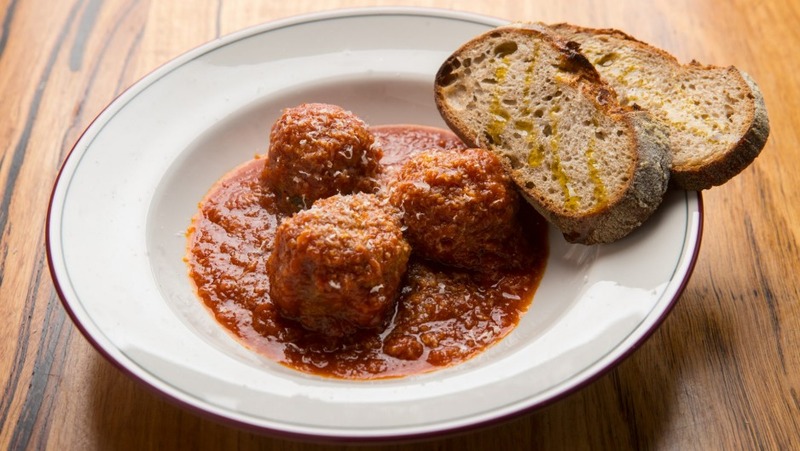 Go-to Dish: Nonna's meatballs, served with or without pasta, are solid contenders for your next food crush ($14/$22).